Savour world’s favourite gourmet drinks – for FREE! We’re delighted to bring you a great new way to savour the world’s favourite gourmet coffee brands in the comfort of your own workplace or home. We’re even more delighted to say we can allow you to enjoy them for FREE! It’s all thanks to two brilliant additions to our range of coffee machines and beverage systems – the Keurig K140 and Keurig K150P. We’re so sure that you’ll love Keurig machines and the great gourmet tastes they produce as much as we do, that we’ll let you sample them for FREE! Both the entry-level Keurig K140 and the larger Keurig K150P can be ordered on a free trial basis*. If you take the Keurig K150P, we’ll include a selection of four boxes of 24 K-Cup Pods each – that’s a total of 96 great hot drinks for you, your staff, and customers to enjoy for FREE! We’ll also include a specially-designed Keurig Storage Rack to house those four boxes. If you opt for the smaller Keurig K140 instead, we’ll also include a free gift – an attractive carousel to allow you to both store and display K-Cup Pods in a tidy and eye-catching fashion. The Keurig K140 is also suitable for use in hotel and B&B bedrooms, and even in your own home, if you’re serious about enjoying great coffee there! 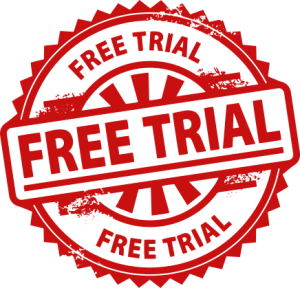 Get in touch with any other questions you may have, or for further details on how you can enjoy a FREE TRIAL and FREE SAMPLES. We’ll be delighted to send you on the way to coffee heaven!